Featured at My Book, The Movie: Hannibal: A Hellenistic Life by Eve MacDonald. What a movie Hannibal’s life would make. He was brave and fierce and arguably the greatest general of antiquity. A sword and sandals epic comes to mind – part Gladiator, part Alexander the Great – but there was no happy ending to Hannibal’s story, no redemption for him or Carthage. Against a backdrop of vast landscapes I would start the film at Hannibal’s tomb at Libyssa (near Istanbul today). The tale would be told by a soldier who had fought with Hannibal, one of the many loyal followers whose life was shaped by his encounter with the great man. Then we would turn back in time through Hannibal’s life beginning with childhood at Carthage and moving to Spain, across France and down through Italy via the mighty Alps with elephants. The sets and cities would be magnificent with scenes at Carthage, Rome, the bay of Naples, Etruria and Ephesus. 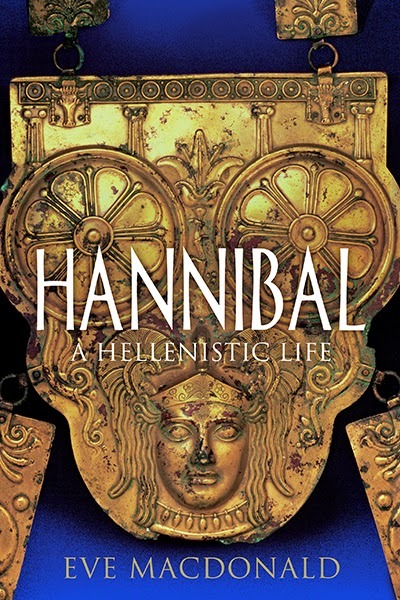 Learn more about Hannibal: A Hellenistic Life at the Yale University Press website. The Page 99 Test: Hannibal: A Hellenistic Life. My Book, The Movie: Hannibal: A Hellenistic Life.